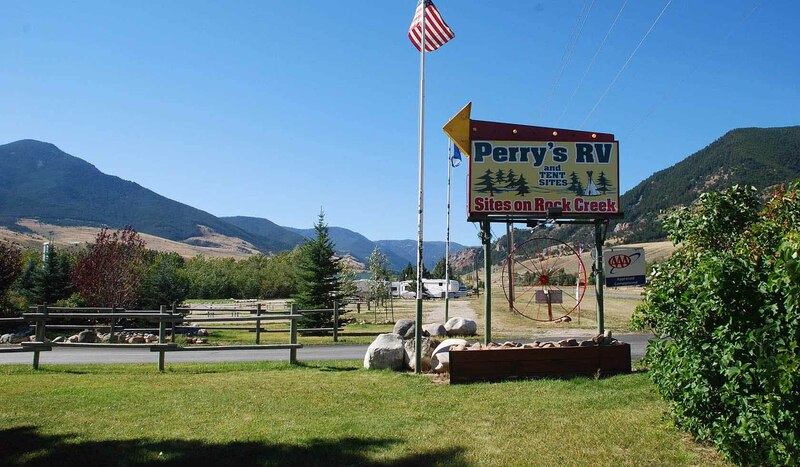 Perry's RV Park and Campground offers something a little extra and something a little different. We have 44 RV and 20 tent sites with utility hookups among the trees and next to Rock Creek. We also have two cabins and a 4 tepees. The charge is $40.00 (2 people) for RV site with water and electricity; $25.00 (2 people) for tent site; additional charge for children and extra adults. Pets are allowed at no charge. Hot showers and fishing available for your convenience.